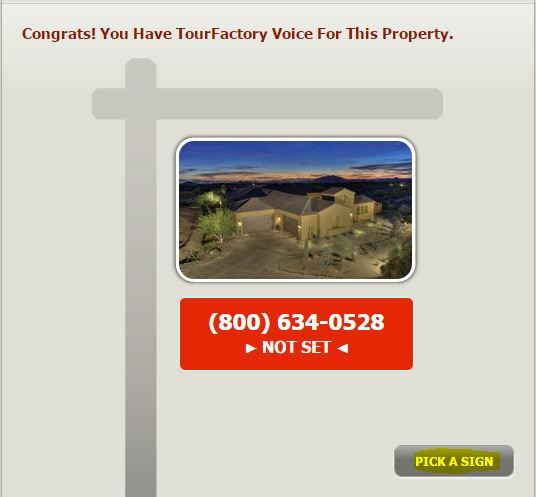 Scroll down until you see the TourFactory Voice section. Click the button labeled “Pick A Sign”. This will bring up your main property photo and all of the signs you have. Click on one that is not in use. Please Note: If you choose one that is in use it will be removed from the property website it is currently linked to. 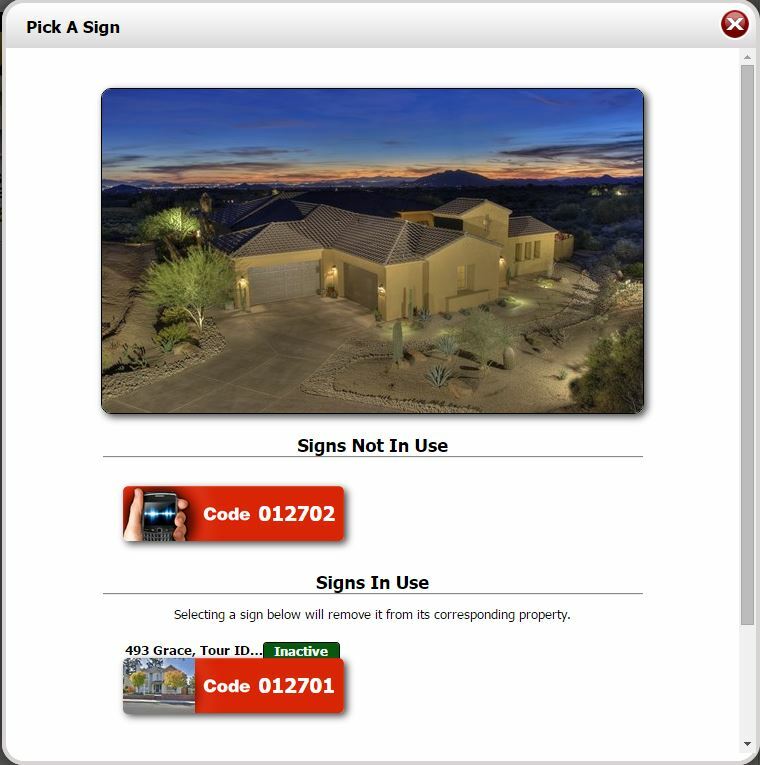 Your sign is now linked to your property website. 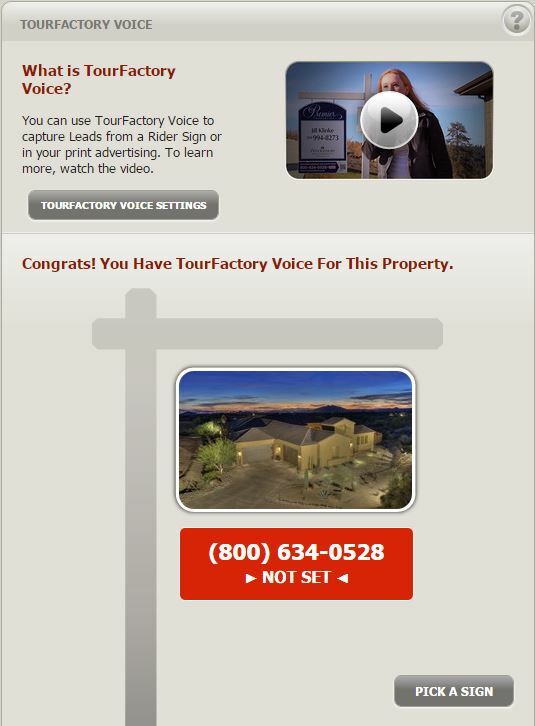 Be sure to set up your TourFactory Voice recording. Click here for instructions on how to set up your recording.